Teenager Elio (Timothée Chalamet) spends the summer in Italy with his parents as every year. And as every year, they are joined by a research assistant who can work with Elio’s father – a professor (Michael Stuhlbarg). Elio isn’t too thrilled about the intrusion that costs him his room. But this year the student who shows up is Oliver (Armie Hammer) and Oliver has something about him. Elio realizes that he is in love with Oliver, but Oliver’s detached and sometimes outright brazen manner leaves little doubt that he doesn’t reciprocate the feelings. Call Me By Your Name is an incredibly tender and soft film with an atmosphere that stayed with me even after the film had ended. Despite some weaknesses, there is something magical about it. 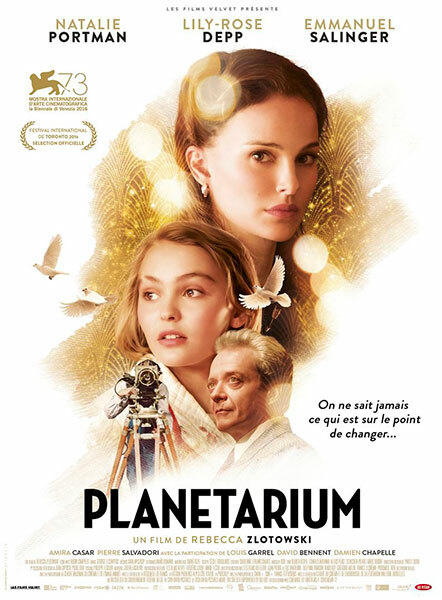 Kate (Lily-Rose Depp) and Laura (Natalie Portman) are sisters who make their living with performances of psychic readings, with Kate’s youthful innocence convincing people of her talents as a seer, while Laura controls the show. The two don’t just perform for big audiences, they also do private séances. One of these brings them to film producer André Korben (Emmanuel Salinger) who lost his wife. Korben takes to the two women, wanting to use them for his filming business. But his interest becomes more and more obsessive. Planetarium has promise but unfortunately it’s too messy and unfocused to really deliver on that promise. Ultimately it starts to drag and simply left me unsatisfied.